No, that is not a misprint. 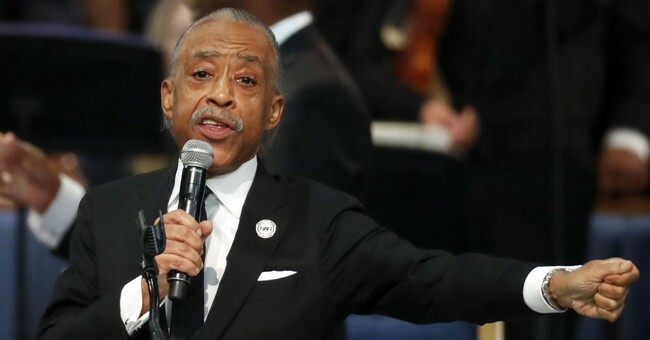 That is word-for-word what Sharpton told MSNBC viewers on Sunday. Or at least all five of them. Earlier in the hour, MSNBC host Katy Tur and Meet the Press moderator Chuck Todd were still attempting to make sense of what had taken place. “Although [the President] committed no crime, the report does not exonerate him. They also said that Mueller found no obstruction. Mueller did not find no obstruction. Mueller laid out the evidence on both sides of the issue and allowed Bill Barr and Rod Rosenstein to make the decision,” Tur complained concerning the reaction from the President, his allies, and the White House. He added that he’s not sure “how [Democrats] ever get...back” the narrative that the President’s guilty in any sort of way. And alas, moving on is something Democrats cannot do. The base demands they fight Trump. And by fighting, they want impeachment. They want him removed. The 2018 Democratic House takeover was partially fueled by these rabid anti-Trump sentiments. They want the Democrats to fight. We’re about to embark on one of the nastiest, most brutal election cycles in recent memory, maybe in our history. These people don’t want legislation. Any piece of legislation that Trump signs into law is a win for this White House. That cannot be tolerated. I’m totally fine with gridlock, in principal. Right now, however, we have hordes of illegals trying to bust into the country. We have a border crisis and we need a wall. So, Congress has to do something there’s one major problem: the Democrats.